I am a Lecturer of Language Technology at the Department of Digital Humanities at the University of Helsinki. I’m also working in the FoTran group in Helsinki. Until September 2018 I was a postdoc at the Department of Linguistics at University of Colorado Boulder working in the CLEAR group. I got my PhD at the University of Helsinki in Finland, where I worked in the Helsinki Finite-State Technology research group. In October 2016, I defended my PhD thesis on morphological tagging at the Department of Modern Languages at the University of Helsinki. My work mostly falls within the fields of Natural language processing (NLP) and Computational linguistics. 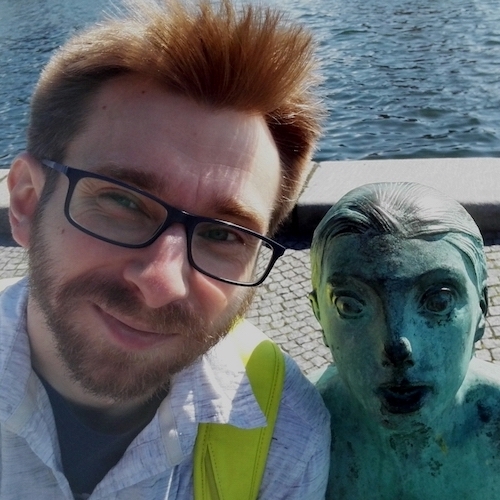 My research interests include NLP for morphologically complex languages, computational semantics, morphological tagging, parsing, as well as computational phonology and morphology. My email address is of the form first.last@helsinki.fi. Please observe that there are two i’s and two k’s in “Miikka” and that “Silfverberg” is spelled with “fv”. Also have a look at my research page. Miikka Silfverberg and Mans Hulden (2018). An Encoder-Decoder Approach to the Paradigm Cell Filling Problem. EMNLP. Ryan Cotterell, Christo Kirov, John Sylak-Glassman, Géraldine Walther, Ekaterina Vylomova, Arya D. McCarthy, Katharina Kann, Sebastian Mielke, Garrett Nicolai, Miikka Silfverberg, David Yarowsky, Jason Eisner and Mans Hulden (2018). The CoNLL–SIGMORPHON 2018 Shared Task: Universal Morphological Reinflection. CoNLL-SIGMORPHON Shared Task on Morphological Reinflection. Adam Wiemerslage, Miikka Silfverberg and Mans Hulden (2018). Phonological Features for Morphological Inflection. SIGMORPHON. Arya McCarthy, Miikka Silfverberg, Ryan Cotterell and Mans Hulden (2018). Marrying Universal Dependencies and Universal Morphology. UDW. Miikka Silfverberg and Senka Drobac (2018). Sub-label dependencies for Neural Morphological Tagging – The Joint Submission of University of Colorado and University of Helsinki for VarDial 2018. VarDial. Miikka Silfverberg, Ling Liu, and Mans Hulden (2018). A Computational Model for the Linguistic Notion of Morphological Paradigm. COLING. Miikka Silfverberg, Lingshuang Jack Mao and Mans Hulden (2018). Sound Analogies with Phoneme Embeddings. Inaugural Meeting of SCIL. Miikka Silfverberg and Mans Hulden (2017). Automatic Morpheme Segmentation and Labeling in Universal Dependencies resources. Universal Dependency Workshop at NoDaLiDa. Miikka Silfverberg and Mans Hulden (2017). Weakly supervised learning of allomorphy. SCLEM. Miikka Silfverberg, Adam Wiemerslage, Ling Liu and Lingshuang Jack Mao (2017). Data Augmentation for Morphological Reinflection. CoNLL SIGMORPHON 2017 Shared Task: Universal Morphological Reinflection. Miikka Silfverberg, Teemu Ruokolainen, Krister Lindén and Mikko Kurimo (2016). FinnPos: an open-source morphological tagging and lemmatization toolkit for Finnish. Language Resources and Evaluation 50 (4). Miikka Silfverberg, Pekka Kauppinen and Krister Lindén (2016). Data-driven spelling correction using weighted finite-state methods. STATFSM. Krister Lindén, Sam Hardwick, Miikka Silfverberg and Erik Axelson (2015). Using HFST—Helsinki Finite-State Technology for Recognizing Semantic Frames. SFCM. Miikka Silfverberg and Jack Rueter (2015). Can Morphological Analyzers Improve the Quality of Optical Character Recognition?. IWCLUL. Sam Hardwick, Miikka Silfverberg and Krister Lindén (2015). Extracting Semantic Frames using hfst-pmatch. NoDaLiDa. Senka Drobac, Miikka Silfverberg and Krister Lindén (2015). Automated Lossless Hyper-Minimization for Morphological Analyzers. FSMNLP. Mans Hulden, Miikka Silfverberg and Jerid Francom (2015). Kernel Density Estimation for Text-Based Geolocation. AAAI. GRoW Your LaTeX Skills. Invited tutorial at the Graduate Research Workshop at the Department of Linguistics at University of Colorado Boulder, Boulder, CO. 09/2017. Open-Source Optical Character Recognition. Invited tutorial at Langnet Graduate School, Turku, Finland. 05/2015. Morphological Disambiguation using Probabilistic Sequence Models. Invited talk at Computational Semantics Seminar at University of Colorado Boulder, Boulder, CO. 01/2015. Corpus Tools. Invited talk at Langnet Graduate School, Turku, Finland. 12/2014. Probabilistic parsing with weighted FSTs. Invited tutorial at FSMNLP, Donostia, Spain. 07/2012. Mathematics handout for a study group based on Yoav Goldberg’s “Neural Network Methods for Natural Language Processing”.